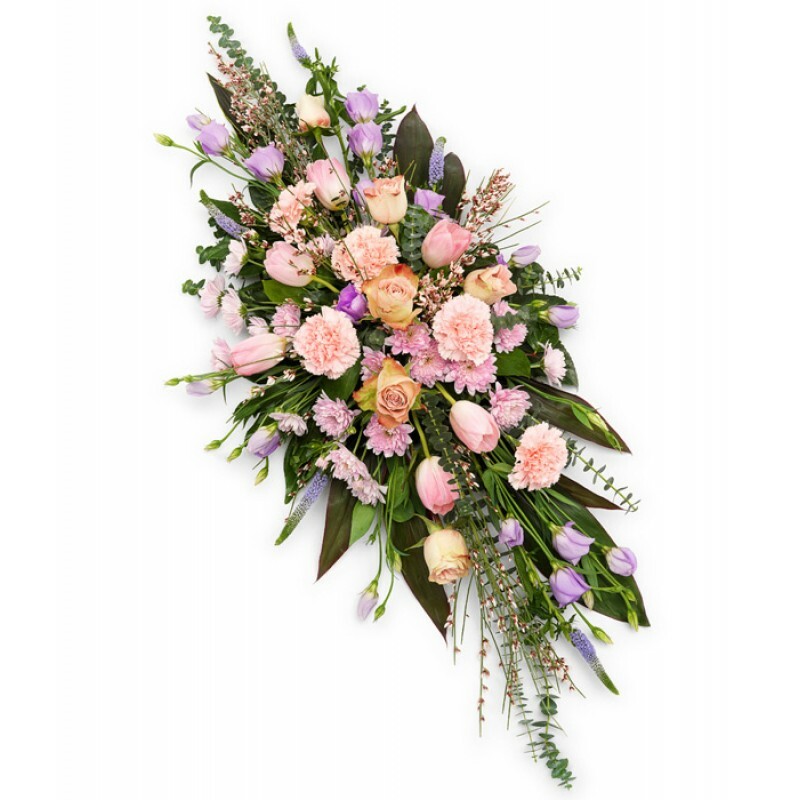 Dress the top of your loved one's Casket with this stunning double ended Casket arrangement. Can be adapted to fit any size Casket. With an arrangement of different flowers (dependant on season) Colours can also be changed.